Don't be confused with the two Attenboroughs. Though both seem like very kind old men who everyone wishes were their grandfather, they are not one and the same person. Sir David is the younger of the two, whose soothing, tranquil voice has become a staple of almost all BBC documentaries. 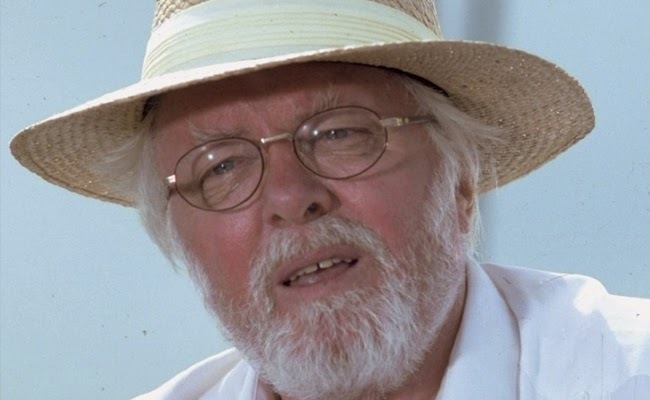 I'm not sure if the older one, Richard, is also a knight, but at least he is the more recognisable of the two, having appeared as the eccentric billionaire John Hammond in Jurassic Park. He also played... uh... I don't know any other role he played apart from John Hammond. But at least I know him, and I'm not British. So that's a good thing, I guess. The Right Honourable Lord Baron Richard Samuel Attenborough, CBE. 29 August 1923 – 24 August 2014.